15 Coolest Beach Safes For Valuables. Thinking of how to hide valuables at the beach and keep valuables safe at beach? 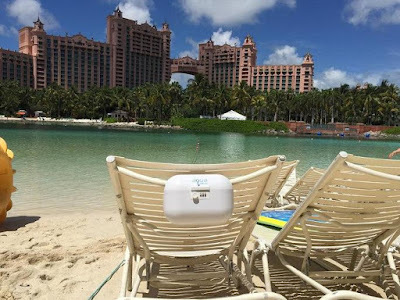 Look no further we have for you the best beach lockboxes, beach safe boxes, beach vaults and more to keep your valuables safe and secure. 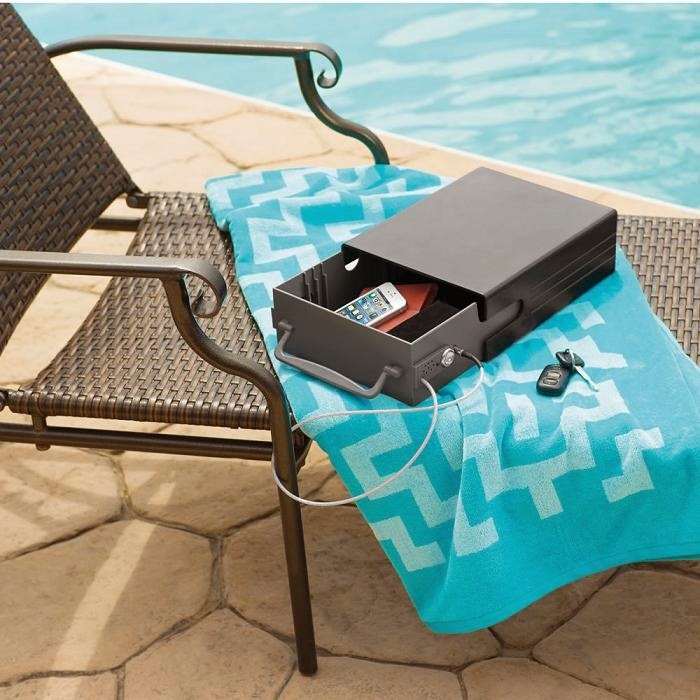 Beach Vault: Beach Vault is a clever underground vault that keeps your valuables safe. 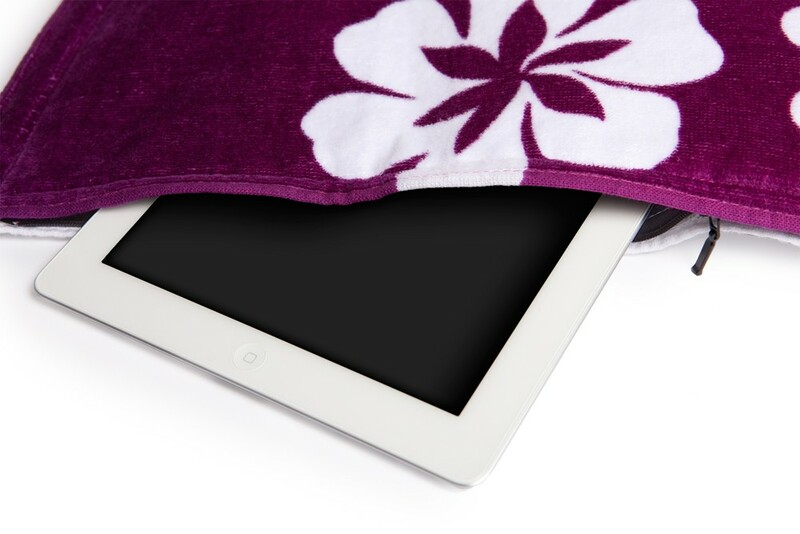 It comes with its beach towel and pillow without which it isn't complete; it works along with these two to keep your valuables safe. It's really simple and easy to use. Buy Now: $39. AquaVault: The AquaVault is a portable outdoor safe made from ABS thermoplastic, and comes with 120-cubic inch cargo space that is comfortable and holds your smartphone, wallets, watches, jewelry, keys and other valuables. 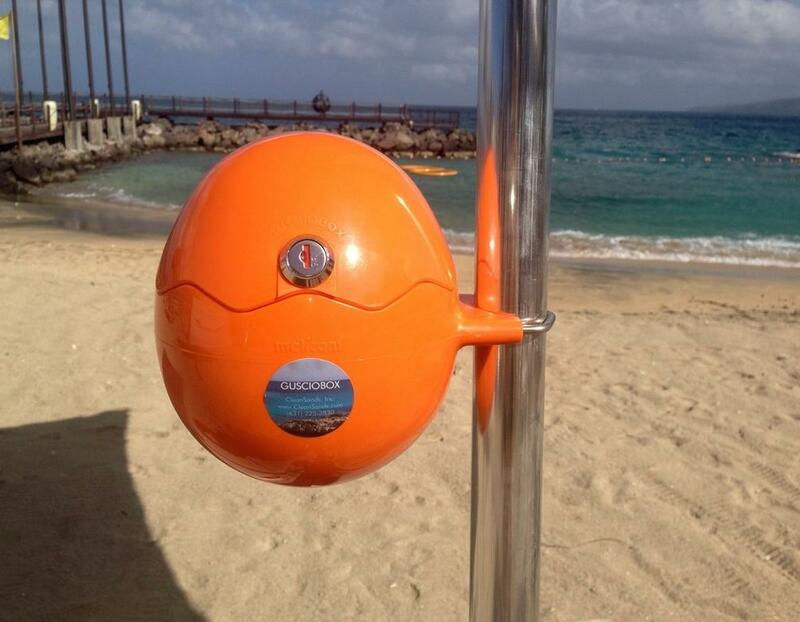 The AquaVault lock box is designed to work with over 95% of existing beach furniture. Buy Now: $ 39.95. BeachSafe: The BeachSafe features a digital easy push button locking system, attaches to your umbrella or can be used as a standalone. It keeps your smartphone, sunglasses, wallet, and other valuables safe. Buy Now: $229.99. BlockeBeach: BlockeBeach works along with the anchor sand for the umbrella and keeps your valuables safe. You need to use the anchor sand for the umbrella to anchor the box strongly inside the sand, put your belongings inside and lock the box. Buy Now. Travelsafe X15 Portable Travel Safe: Travelsafe X15 Portable Travel Safe is a waterresistant portable safe that can easily hold a 15" MacBook, iPad, a DSLR camera and more and keeps it safe. 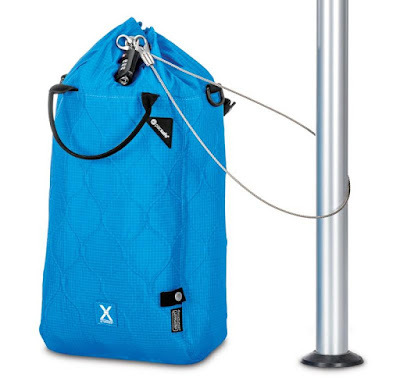 It comes with 360-degree eXomesh stainless steel wiremesh embedded into poly canvas fabric, and 360° eXomesh locking system that keeps your valuables safe. Buy Now: $99.95. 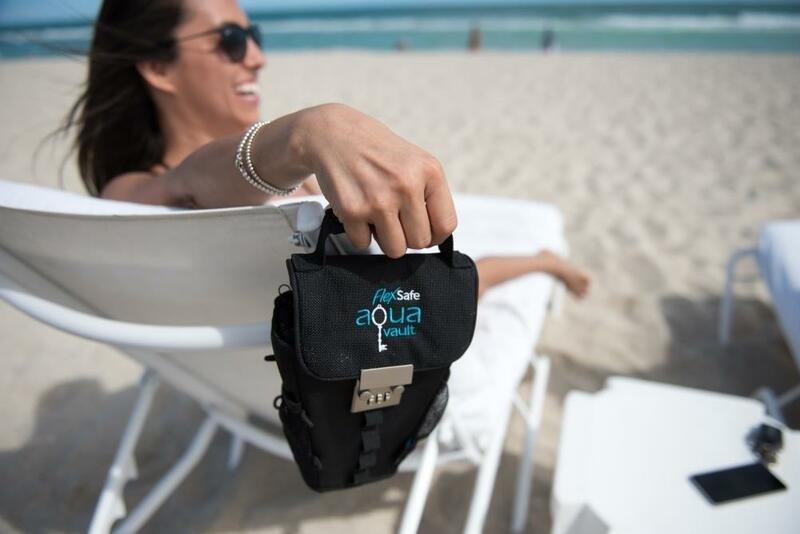 AquaVault FlexSafe: The AquaVault FlexSafe is a flexible, waterresistant personal portable outdoor vault that keeps your valuables safe during outdoor activities. It features an internal zipper pouch, magnetic closure, programmable lock, storage pockets, and more. It safely stores your money, smartphone, keys and more. Buy Now: $ 39.95. 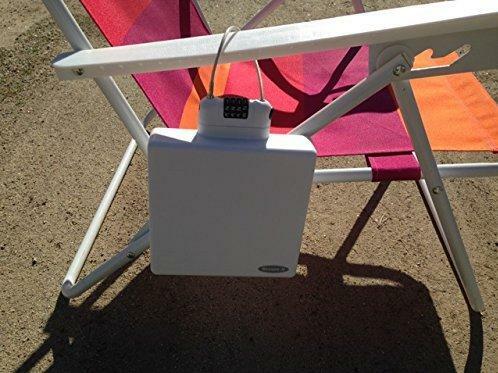 Beach Safe Gusciobox: Beach Safe Gusciobox is cool container with a secure closure, attaches to beach umbrellas, chairs and more and keeps your valuables safe. 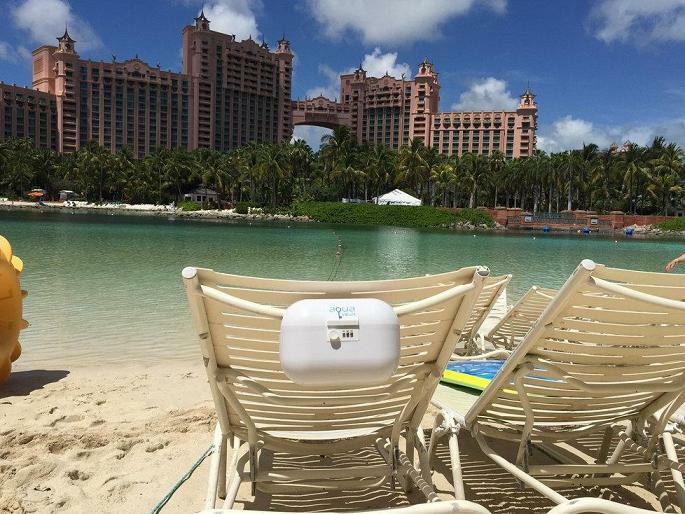 It comfortably stores your smartphone, sunglasses, wallet and more. Buy Now: $4 - $95.70. 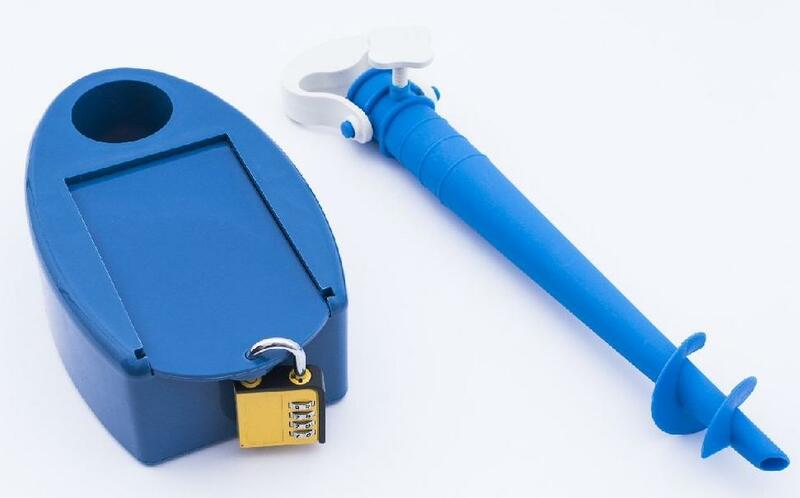 MobiSafe: MobiSafe is a small container that comes along with an attached steel cable and a combination lock that keeps your valuables safe. It can be attached to your umbrella or other beach furniture. It holds your smartphone, keys, cash, watch and more. It features a front opening face, and is secured by a locking head with 10,000 possible combinations. Buy Now: . Travel Safe Lock Box: The Travel Safe Lock Box is a portable personal safe that holds your smartphone, jewelry, wallet, watch, passport, camera, keys, money, credit cards and more and keeps them safe. 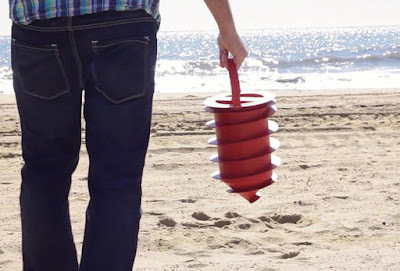 You can easily attach it to your beach umbrella, or other beach furniture. It comes with resettable 4-digit combination lock and steel cable. It features a comfortable inner liner that protects your belongings and a jewelry pouch. Buy Now: $19.95. 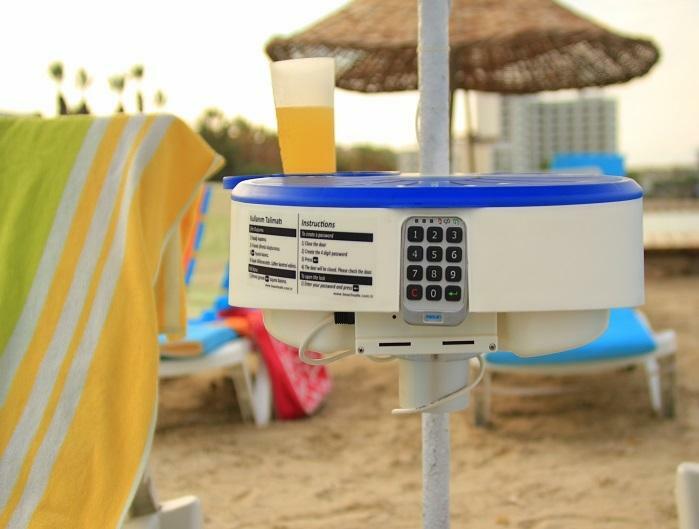 Beach Safe: The Beach Safe attaches to your beach parasol, comes with a combination lock that lets you create your own code for safety. It holds your smartphone, jewelry, wallet, watch, passport, camera, keys, money, credit cards and more and keeps them safe. Buy Now: $48 (£39). 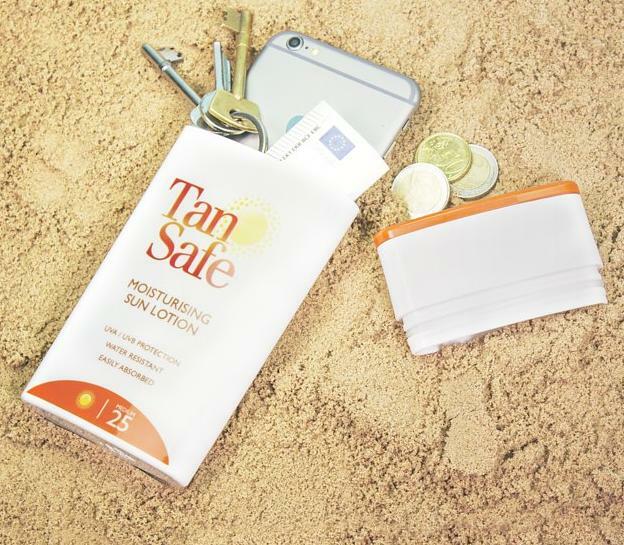 Tansafe: This stealth safe looks like any other ordinary suntan lotion but secretly holds your valuables. It comes with enough space to hold most smartphones, credit cards, keys and cash. Buy Now: $10 (£7.99). 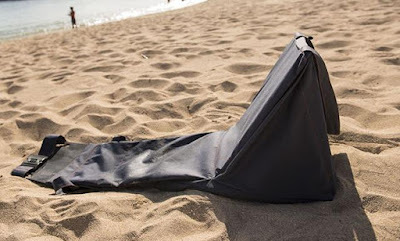 BeachSafe: BeachSafe is a beach bag, seating and safe. It features a hidden storage where you can place your smartphone, money, credit cards, jewelry, camera, keys, and more. 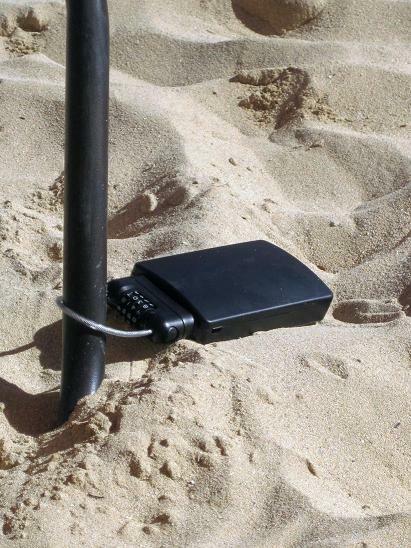 You can secure your belongings with a coded lock and fill it with sand so none can lift it off and run with it. More info. Hidden Drawer Sandals: The Hidden Drawer Sandals feature a storage space in its sole to hold your credit cards, keys, money and more. Buy Now: $24.95. Beach Safe: The Beach Safe is a lightweight safe that attaches to a bench, umbrella or any other fixed object with a 2' steel cable. And in event of security cable being cut or any attempt at snipping this line; it results in a 110-decibel sound alert. Buy Now: $19.95. Towelmate Beach Towel: This cool beach towel comes with hidden waterproof pockets for your smartphone, headphones and more to keep them secure while lounging. Buy Now: $30. 15 Awesome Nature Inspired Designs and Products - Part 3. 15 Best App Enabled Color Changing Lights. 15 Best Productivity Gadgets - Part II. 15 Best Travel Safety Gadgets. 15 Best Gadgets For Listening Music. 15 Best Home Security Cameras. 15 Best Powerstrips for You - Part IV. 15 Must Have Cat Gadgets. 15 Must Have Gadgets for Techie Parents. 20 Best Kids Friendly Kitchen Tools. 15 Best Cleaning Gadgets for You. 15 Best Lunch Boxes For You. 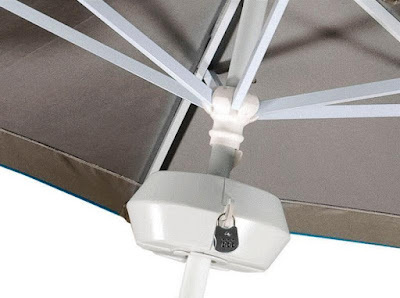 15 Best Outdoor Power Gadgets. 15 Best Trackers For Everything. 15 Best Gadgets For Journalists. 15 Best Women's Personal Safety Products. 15 Best Wearable Tech Gadgets - Part 4. 15 Best Smart Clothing For You. 15 Must Have Gadgets To Make Dog Friendly Home.